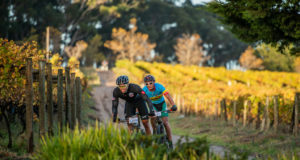 Entries are still open for the second Torpedo SwimRun, which takes place on 19 November in Cape Town. Extreme open water and ice swimmer Ryan Stramrood has entered the race with fellow extreme swimmer Mark de Klerk as his teammate. Ryan has never worn a wetsuit for open water swimming before, and he does not own a pair of running shoes, but has decided to step far out of his comfort zone to take up the challenge. 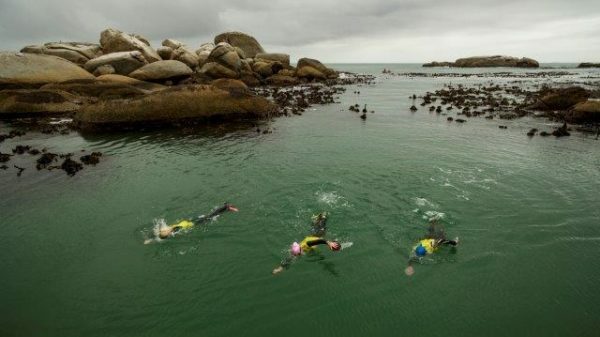 The Torpedo SwimRun is a two-person team race where teams swim and run together from start to finish across Cape Town’s most iconic beaches and bays, with Llandudno, Oudekraal, Camps Bay and Clifton forming part of the 16km route. Based on the popular overseas format, SwimRun attracts athletes from all spectrums of the sporting community, from surfers to trail runners, triathletes to paddlers – athletes with one common thread – the love of being in nature and challenging their bodies. SwimRun will see these athletes compete against each other over terrain that is both foreign and familiar to them, with short beach-to-beach swims and bursts of running, scrambling and rock-hopping. 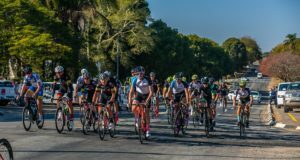 There are 6 swim segments (totalling 3km) and 6 run segments (totalling 13km) and athletes will experience parts of the coastline not usually accessible to the public. Wetsuits and running shoes are kept on for the duration of the event as there are no transition zones; you simply get out of the water and run – until the next swim leg. Alessandra Bayly and Christina Geromont were the first women to finish the inaugural Torpedo SwimRun event in January this year, and the tenth team across the line. Both are Llandudno Lifesavers and have entered the race again after thoroughly enjoying the challenge.